It’s almost Thanksgiving, a time to be thankful for lots of things, including the traditional four or five day break from school or work. While you get ready to take a much-needed rest from working or studying or doing your internship, read a bit of history and some fun facts about Thanksgiving, and use them to dazzle everyone at the dinner table! President Lincoln declared the last Thursday in November as the national holiday of Thanksgiving in 1863. At the time, the only national holidays in existence were Independence Day and Washington’s Birthday. But from 1863 on, every president except Franklin Roosevelt would declare the last Thursday in November as a national holiday. In 1939 Roosevelt moved Thanksgiving to the second-to-last Thursday of November in order to boost the economy by extending the holiday shopping season. Roosevelt continued this tradition until Congress wrote the Thanksgiving holiday into U.S. law–on the 4th Thursday in November–in 1941. In 1953, the Swanson Company radically overestimated the amount of turkey Americans would consume on Thanksgiving that year. Swanson had 260 tons of frozen turkeys to get rid of and no idea of how to do it. But a company salesman had an idea: he ordered 5,000 aluminum trays, recruited an assembly line of workers armed with spatulas and scoops and created the first-ever TV dinner. Because white meat is the most popular part of the turkey, domestic turkeys are bred to have very large breasts, which make mating impossible (the huge breasts prevent males from mounting.) Hatcheries must use artificial insemination to fertilize the eggs. The pilgrims at the first Thanksgiving didn’t use forks; they ate with spoons, knives, and their fingers. 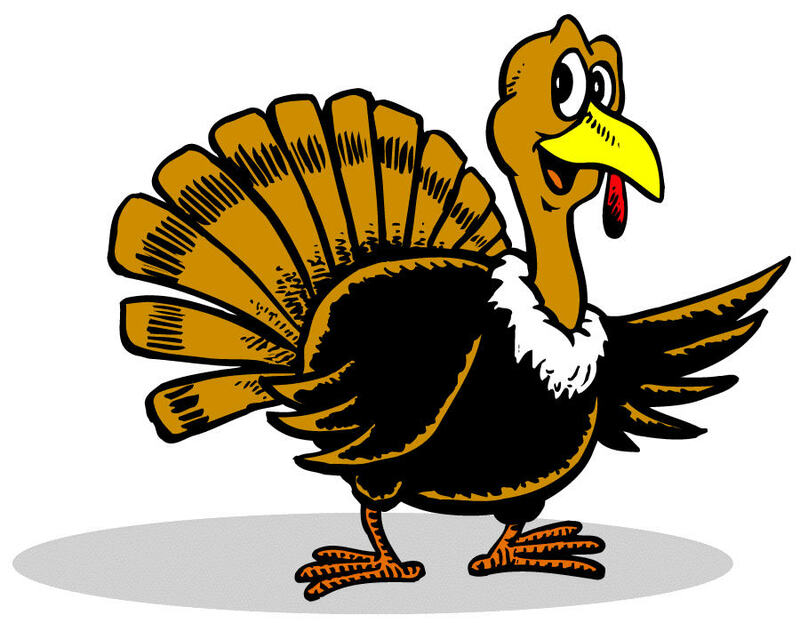 Californians consume the largest amount of turkey in the United States. Enjoy the Thanksgiving break and take some time to relax as much as you can. After the break, if you’re looking into career options or preparing for an interview, contact us for resources and tips on resume writing and interviewing. This entry was posted in Gradcast and tagged Gradcast, Gradcast.com, Thanksgiving. Bookmark the permalink.